Manage an individual’s information to help generate a better relationship between you and your customers. You have the ability to associate one company or organization to a contact. NOTE: It's important to keep your contacts/companies clean to ensure accurate data. A tidy CRM will help make managing your business relationships easy! This information shown comes directly from the Company itself. 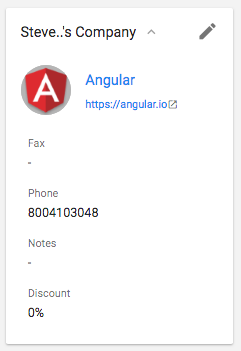 Click Company Name to take you into the company's details. You have a number of addresses that can be entered per a contact. 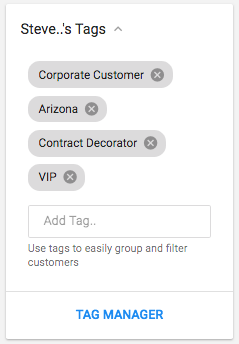 Tags are custom keywords to help you sort, filter and group your customers under a specific label. 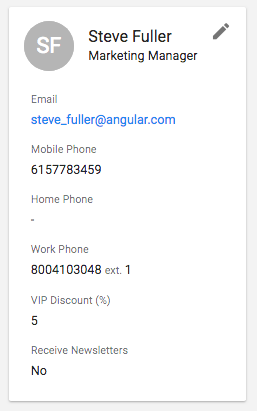 Use Case: Tag "ISS Long Beach" to anyone you met and offered a discount to, so you can easily filter to find and apply the discount post trade show. 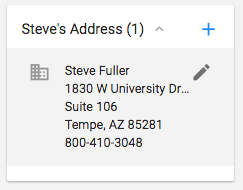 This also helps you remember where and when you first connected with this contact or company. 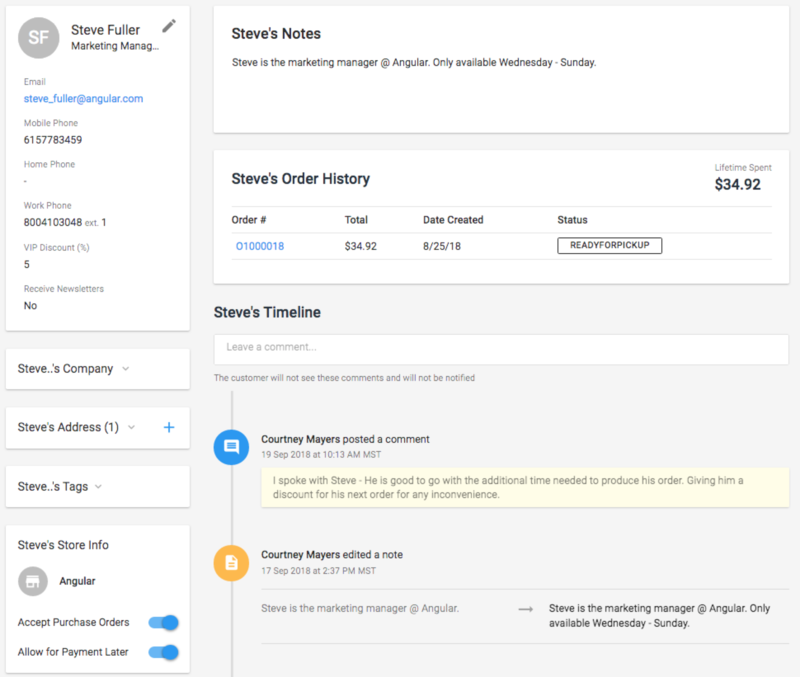 Tag Manager gives you the ability to edit and/or delete your tags. If you don't have contacts or companies associated to a tag, you have the ability to purge the unused tags and create new ones. Leave a high level note that everyone on your team needs to know about this contact. Example: Steve is only available from Wednesday to Sunday from 9a - 5p EST. Gives you a high level order summary made by the contact. Changes made and comments added will automatically be documented to your Timeline. Timeline gives you accountability and insight into the activities happening with the contact, anything from editing contact info to adding/removing a tag. Leave a comment so that anyone that opens this contact can see what you discussed. Example: "I spoke with Steve - He is good to go with the additional time needed to produce his order. Giving him a discount for his next order for any inconvenience." IMPORTANT: Comments are internal ONLY. Contacts will not be notified via comments.